Lake Tillery, located in Stanly County and Montgomery County, NC covers over 5,000 acres and has 104 miles of shoreline. Homes and property on Lake Tillery provide year-round enjoyment of gorgeous sunsets, recreational activities, and peaceful surroundings. Lake Tillery’s unique location allows for easy access to metropolitan areas such as Raleigh, Fayetteville, Greensboro, and Charlotte. Low taxes, educational opportunities, great medical care, and most of all, friendly neighbors and small town charm make Lake Tillery a wonderful place to be. 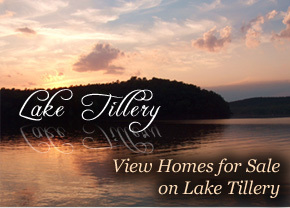 Contact us at Iron Horse Properties to find out more about Lake Tillery property and homes for sale. Finding your dream home at Lake Tillery is only a phone call away!